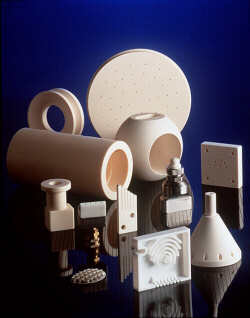 Astro Met Inc. is a full service manufacturer of advanced ceramics components to customer specification. Our products include high purity alumina, zirconia and machinable ceramics. Astro Met's focus is on providing cost effective solutions to wear and corrosion problems in a wide range of applications and industries. We specialize in precision toleranced advanced ceramic components in both prototype and production quantities. Since 1961 Astro Met's advanced ceramics have enabled thousands of customers to solve problems and develop products and processes that would not have been possible with conventional engineering materials. AmAlOx 68 - 99.8%- alumina ceramic for cost effective solutions to demanding wear and corrosion problems. AmAlOx 87 - 99.95%- alumina ceramic for the most challenging wear and corrosion applications. AmZirOx 86 - Yttria stabilized zirconia for wear and corrosion applications requiring high strength and toughness. ZTA-96 - Zirconia Toughened Alumina ceramic that exhibits excellent wear and corrosion resistance. Macor® - Machinable Glass Ceramic for electrical, vacuum and thermal applications.